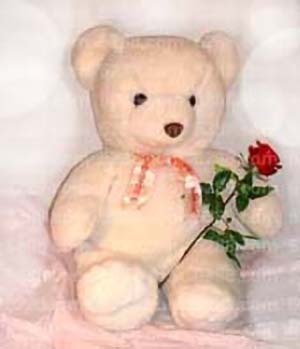 ﻿ Teddy Bears B: Teddy bear, high about 40-50 cm, one red rose. 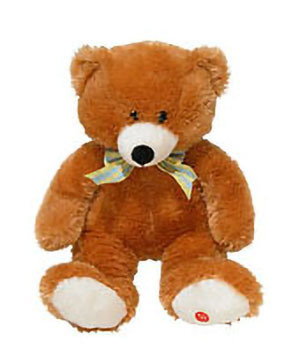 Teddy bear, high about 40-50 cm. One red rose. 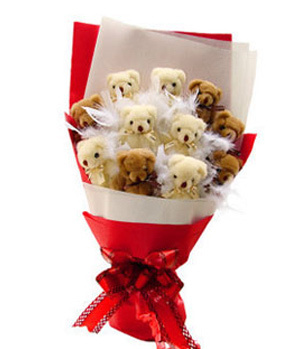 To make sure the flowers and gift arrive in the same time please order 4 days in advance. If lack of time we will arrange deliver the flowers and gifts by stages. (substitute rule: Due to the big area differentiation in China we will take the local equal little bear instead in case the delivery time is urgent. Courier Request: the delivery address should be more detailed enough and should have the recipient's cell-phone number.